Typhoon NANMADOL broke the record as the 15th typhoon that approach near Okinawa this year, and died away after changing into an extratropical cyclone. After that, however, an extratropical cyclone that absorbed the remnant of the typhoon intensified around Japan, and very strong winds are blowing across Japan. 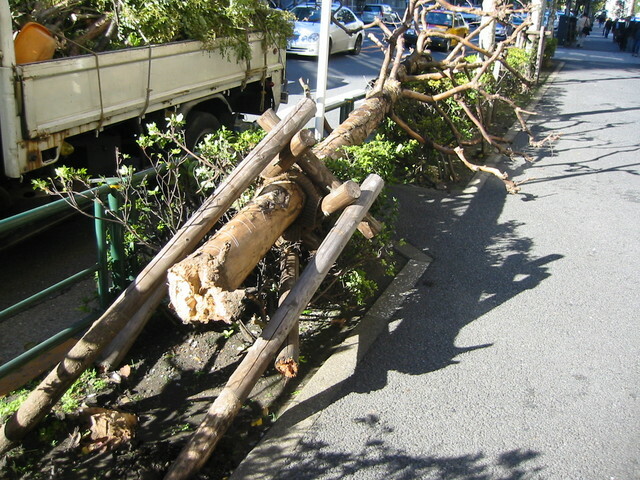 The maximum gust of 40.2m/s was recorded in Tokyo, which is the strongest wind ever recorded, and 47.8m/s at Chiba, which is as comparable as (or stronger than) that of typhoons. Due to warm air brought by the wind, today's highest temperatur was 24.8C, which is the highest record in December. Information about disasters in Philippines is complicated due to the successive occurrence of disasters by multiple typhoons. From the browsing of news articles on web sites, the current situation seems to be that the toll of death and missing is more than 150 by the first two storms, Typhoon 200425 and Typhoon 200426, the toll of death and missing is reaching as many as 1000 by tropical storm Winnie early this week, and finally the toll of death and missing is around 30 by this typhoon. These numbers, however, are far from reliable, because specific numbers differ from media to media, and they are increasing as time. 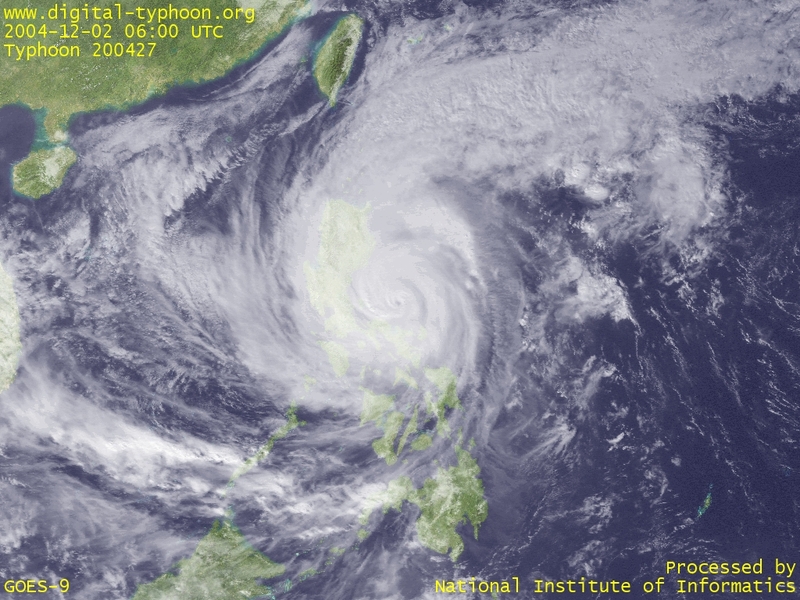 Typhoon NANMADOL has passed across Philippines to enter South China Sea, but its intensity is much weaker than making landfall. It is forecast to approach Taiwan, and then transform to extratropical cyclone around Sakishima Island. The disasters in Phillipines are said that as many as 600 people were believed to be dead or missing, and President Arroyo blames illegal logging as the cause of disasters. This problem has been pointed out for a long time, but can this be used as a chance to change attitude to this environmental problem? Typhoon NANMADOL seems to draw near to the site of disasters without notable weakening. 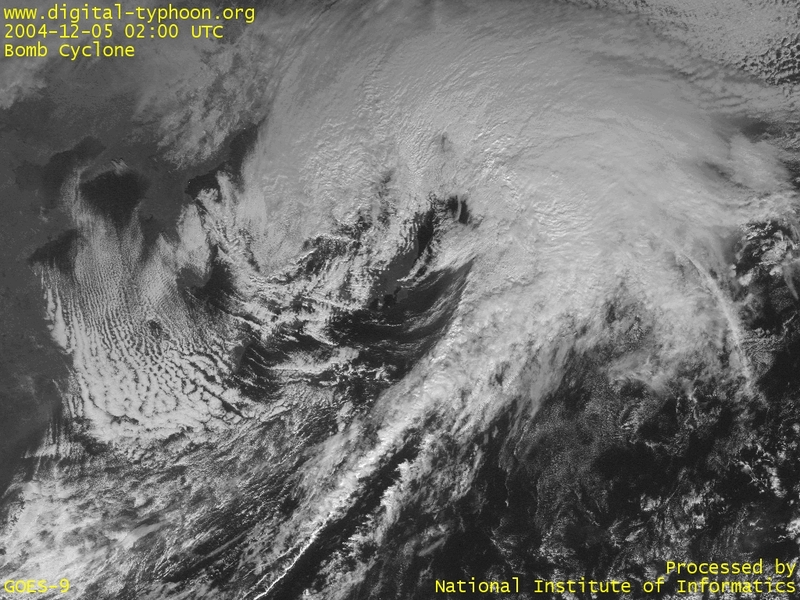 The clouds around the center are so thick and large that the amount of rainfall is expected to rise. 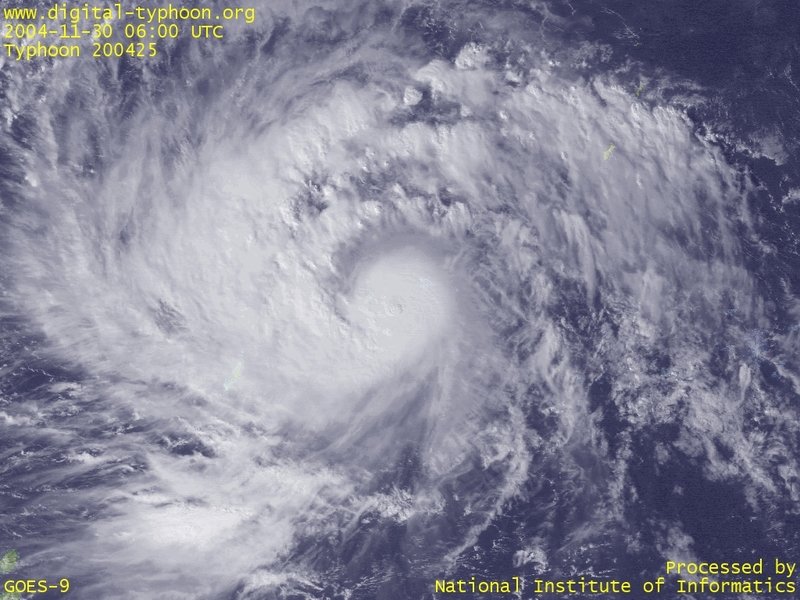 Typhoon NANMADOL has developed into a serious typhoon with thick clouds packed around the center. If this typhoon does not change its track, this is going to be another misfortnune for Philippines, where subsequent natural disasters are breaking out abruptly by repeated attacks of tropical cyclones. 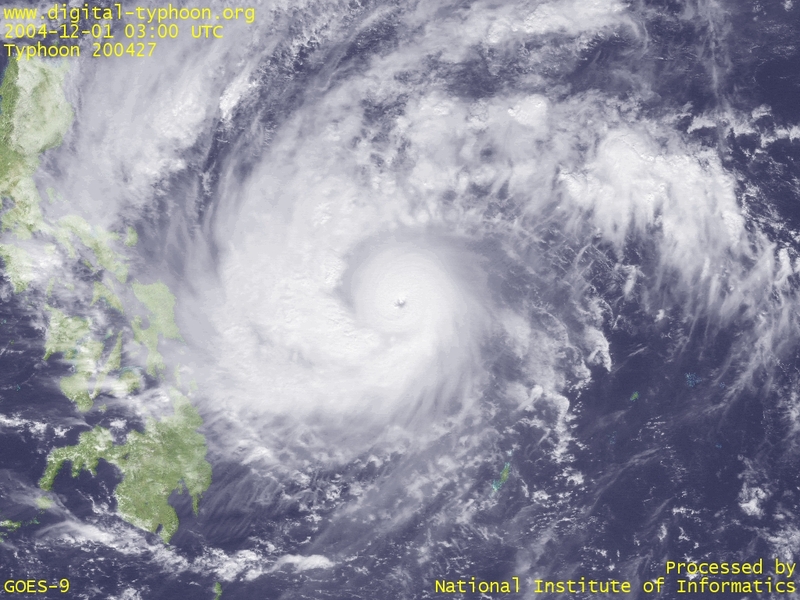 Typhoon NANMADOL passed very near to Yap Island, and forecast to draw near to Philippines. Recently Philippines are suffering from successive landfall of typhoons, Typhoon 200425 and Typhoon 200426, and early this week another (not a typhoon) tropical depression (Philippine name Winnie) is said to kill more than 350 people due to the flash floods and landslides. 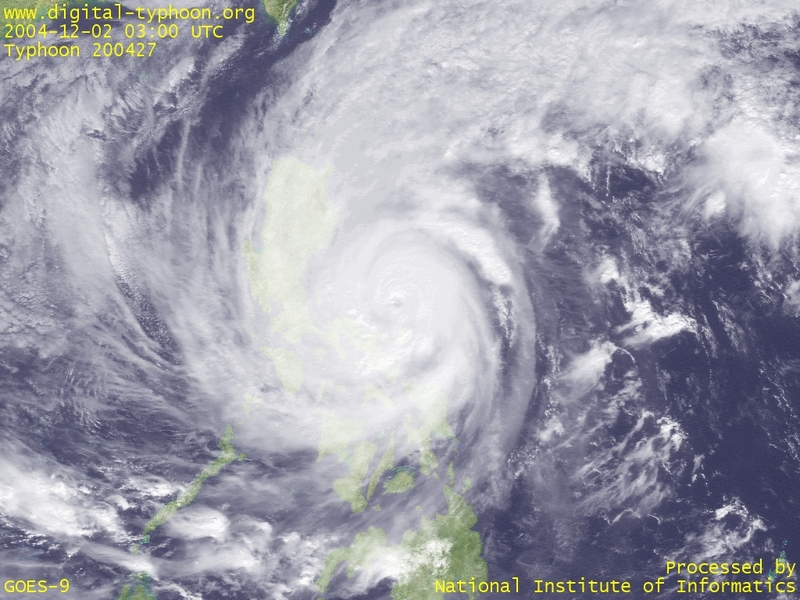 This typhoon is evolving to a stronger typhoon than previous ones. Typhoon NANMADOL was born in Caroline Islands. It is forecast to deepen while moving toward the vicinity of Yap Island, which was severely damaged in a row by Typhoon 200321 and Typhoon 200401, and this typhoon may also pass very near to the island. By the way, this typhoon was born on 0000 UTC today, but as we failed to receive the data of that time, the birth and the life time of the typhoon is displayed incorrectly. This problem will be corrected in the future. Satellite images of Typhoon NANMADOL by NASA.